Since I was a child and even before 'anime' and 'otaku' were known words around the world, I've liked japanese culture a lot, and I'm particularly inclined towards the food: obentou, wagashi, sushi, daifuku, pocky... You name it, I love it. X3 I also love origami and kawaii stuff. I also have a dark side, because I love goth stuff... Which is why I love laces, crosses and elegance. And to that you can add all things Steampunk. Man, those are the best. Unfortunately I'm not that good when it comes to translating it into my wardrobe and makeup so it's only an unrequited love. I love colours, specially green (all sorts of green), wine, black, white, gold and pale pink. And I really feel influenced by Art Nouveau, which is my favorite artistic movement. You might tell I like elaborated things. I also like sweets, all kinds of tea (my favorites are green tea and Houji but I'll take any that can be mixed with milk for a warm evening anytime), chocolate, rainy days with a glance of sunlight. Noltalgic memorabilia like pin-ups and Coca-Cola ads. Good looking guys for me are like Axel from Kingdom Hearts or Uta from Tokyo Ghoul. I'm currently playing Fire Emblem Awakening like crazy so anything that involves Gaius, Inigo or Virion is always welcome (well, anyone at all, but those are my favorite three). I don't like odd shaped animals like dogs, frogs and related items (by odd shaped I mean things like this: http://img.photobucket.com/albums/v217/Degard/M-32861-2.jpg ). I also dislike anything that could come out of a Hallmark postcard. It's way too commercial and I consider that it clashes with the concept of swapping special stuff. Btw, remember the 'anything tea is accepted' statement before?... I just remembered I kind of dislike anything with stuff like blueberries. Those infusions thend to be rather acid and I can't mix them with milk. Please don't send any poop related items, because... well... it's poop. Also no real puppies nor kittens nor babies nor anything. Don't like real stuff in the kawaii section. My likings are very distant, right now I might be hearing j-pop and the next moment I'll go for power metal. I've realized that most of times, rather than liking just a couple of bands and knowing all their songs, I prefer to know a lot of songs from a lot of bands. But if you want a very particular band, I would say that Human Drama wins my heart hands down. I of course have my special list selected from between the randomness, they are: Apocalyptica, Aleks Syntek, David Bowie, The Dresden Dolls, Arctic Monkeys, The Mars Volta, The Offspring, The Pillows, Muse, Richard Cheese (If you love funny covers, THIS is your guy!! ), Tropikal Forever, Final Fantasy and Legend of Zelda soundtracks. I also rediscovered Liszt, his Hungarian Rhapsodies are beautiful. From ãƒ‹ã‚³ãƒ‹ã‚³ I love ãã‚‹ãŸã¿ã‚“, Gero and ä¼Šæ±æ­Œè©žå¤ªéƒŽ. My most favorite of books is "The Neverending Story" by Michael Ende, when it comes to likings, be it from Rowling's Harry Potter books going through Ann Rice's Vampire Chronicles and ending at Wynne Jones' collection. I'm an all about fantasy lover. But I also love science fiction, Dan Simmons is one of my most favorite writers and Frank Herbert is sublime, the Dune saga is breathtaking. I definitely have a soft spot for sci-fi in my dark little cuddly heart. My hobbies are knitting, crochet, drawing, taking photos, cooking. I love doing lucky stars but I unfortunately had to stop doing them since the Corean store that imported them closed. I'm best at pencil drawing, but now that I have my Intuos I'm in digital heaven. Another thing I'm very proud of is that I'm quite capable of creating my own books, hardcover and all. I actually ain't much a T.V. person and prefer to watch anime more than anything. My fav's pretty much are Shokugeki no Souma, Samurai Champloo, Suzumiya Haruhi no Yuutsu, Lucky Star and Katanagatari. 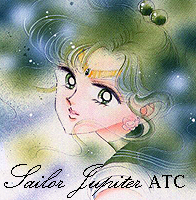 Comment: Thanks soooo much for this awesome ATC! It was totally worth the wait :D And thanks for the letter, too! Response: OMG! It finally arrived!? I'm so glad to hear about it! Comment: It finally arrived! I see from the postmark that you sent it out a while ago. The bookmark is beautiful, thank you! Comment: What a wonderful letter and book recommendation! I loved the movie, but for some reason I have never thought to pick up a copy of the book. I am definitely going to have to now! And an extra big thanks for the sharing of your personal story, and the great tea to drink while reading it. Comment: Thanks for both the leave-shaped and the cylinder bag. Handsewing turned out very nicely. Great job! Comment: Wonderful Pictures looks good.... but still a couple of days late becareful next time. Comment: Wow - your food looks delicious! I especially like the chocolate domino cake & the takoyaki. I'm going to have to look out for that here. Comment: I also love Lestat, but from "The Vampire Lestat", If you haven't read it yet, I highly recommend it. Comment: I love it! Thank you for introducing me to this song. I'm going to go listen to it now (if I can). I liked that you added a personal note AND I LOVE LOVE LOVE the amate bookmark. Did you make that???? Response: I'm glad that you liked my song, if you really want to hear it I can link you to a video in Youtube: Distant Worlds http://www.youtube.com/watch?v=ocvcH-GwyEk And I didn't do the bookmark, I just bought it. But it's a typical mexican tradition, to paint on amate. It's really gratifying to know that you loved it. Comment: thankyou for sending totally different Teas :) and unusual too, never seen white tea lol!!! and great that you send instructions too. Comment: Very beatiful card. Thanks! The Sailor Senshi Club is still alive â™¥! New swap! Maybe you will join? If you've got suggestions for other swaps, just let me know! 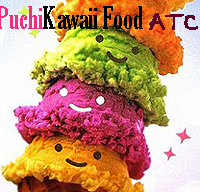 Please join my - BIG Loose Memo Sheet Swap â™¥ Kawaii - It's gonna be fun! 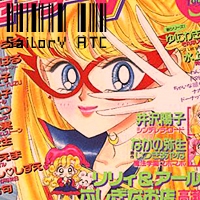 A new Sailor Senshi Swap about Sailor Mercury! Yay! Be quick and join! â™¥ Click on the picture below to see the swap requirements. Oh, come on! 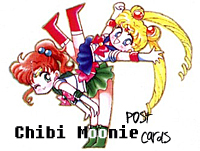 Join a simple Senshi postcards swap! (: Wish you a strawberrish day! An attempt to bring this group back into the life of swapbot! Heyaaa! 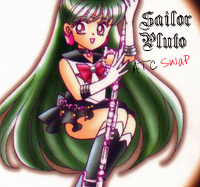 There's a new Senshi Swap swirling around! Huiii! Want to find some more friends?